On Tuesday morning, the Winona perjury parade ground to a halt. Bonita Henry is one of several witnesses in this legal marathon who are no longer capable of testifying. She appeared courtesy of a brief excerpt from the 2004 trial transcript. Ms. Henry said she was sitting on her porch between 9:00 and 9:30 on the morning of the murders when she saw Curtis Flowers walk by. He was wearing white shorts and a T-shirt. I was hoping the defense attorney in the transcript would ask if Curtis had a .380 automatic stuck inside the elastic waist band of his shorts–but the question never came. Curiously, neither the state nor the defense asked if the witness remembered seeing Mary Jeanette Fleming heading west while Curtis was walking east. A couple of days ago, Ms. Fleming testified that Curtis passed her just a few seconds after he passed Ms. Henry, only this time he was wearing a pair of black dress pants, a dress shirt and a jacket. It is entirely possible that both women saw Curtis on the street at some time–but not the same time. Curtis likely walked that way on the three days he worked at the Tardy Furniture store. In the transcript, Ms. Henry was asked if she was sure she saw Curtis on July 16, 1996. “It may have been,” she replied. After this snippet of virtual testimony the trial went live again. The state’s case reached its dramatic climax with the testimony of Roxanne Ballard, the strongest personality within the community of Winona residents related to the victims. Over the past fourteen years, these people have been united by their grief. They have travelled to trials one and two in Tupelo and Gulfport. They have attended even the most obscure hearings. When the courtroom opens, they fill up the front rows on the right hand of the courtroom, right below the jury box. It is becoming increasingly obvious that Bertha Tardy’s daughter has been the driving force behind the investigation of “the Tardy murders”. Roxanne testified that she grew up around the furniture store and, like her mother, worked there as a young woman. After graduating from Ole Miss with a masters degree in accounting, Ballard worked at a large accounting firm in Memphis before returning to Winona. Roxanne Ballard’s role is to convince jurors that about $400 in cash was stolen from the Tardy Furniture store. A theft puts the death penalty on the table. Defense counsel will now try to introduce reasonable doubt on that score. Apart from Ballard’s testimony, there is no way of determining how much money, if any, was taken from the store. The first witness for the defense was Mike McSparrin, a forensics expert who testified that no fingerprints were found at the Tardy Furniture store, around Doyle Simpson’s glove compartment, or on the empty box of Grant Hill Filas discovered at Flowers’ residence. McSparrin said the state crime lab was never asked to match the “latent prints of value” discovered at the furniture store to LaSamuel Gamble and Marcus Presley, two black males who went on a crime spree in the Birmingham, AL region in the summer of 1996. The robberies started in May and concluded on July 25th (nine days after the Tardy murders) when the two men shot two people execution-style at a pawn shop. In another armed robbery during this period, two victims were shot with one surviving. Surveillance cameras at both crimes show one man holding his weapon on the victims while the other man does the shooting. The weapon used in both murders was a .380 automatic, the same gun used in the Tardy murders. The Gamble-Presley episode was discovered too close to trial to be developed fully, but it does demonstrate that two similar crimes occurred 200 miles from Winona with no attempt made by local authorities to investigate a possible connection. In addition, it bolsters the argument that the execution-style slaying of four victims requires two gunmen. Some of the most intriguing testimony of the day came from Steve Byrd, a firearms expert at the state crime lab who performed the initial ballistics tests on the projectiles and shell casings discovered at the furniture store, a bullet found lodged in a mattress, and two bullets lodged in a wooden post at the home of Doyle Simpson’s mother. Byrd said that most of the bullets discovered at the store were fired from the same weapon (others were too damaged to support an opinion). The bullets found in the post, though clearly fired from a .380 automatic, could not be definitively linked to the bullets found at Tardy furniture. The two sets of projectiles could have been fired from the same gun, or from two guns of the same class. Byrd concluded his testimony by defending the “conservative nature” of his analysis. “I’ll stand by my opinion until I die,” he told the jury. The testimony of James Taylor Williams was equally instructive. Williams was a highway patrolman who came to Winona to assist with the investigation on July 16, 1996. He testified that he arrived at the furniture store at 10:46 and spent fifteen minutes examining the crime scene. He saw the pool of blood that had formed by the head of Bobo Stewart, but not once did he see, nor was he shown, a bloody footprint. The footprint evidence keeps getting curiouser and curiouser. Williams also testified that the report that Doyle Simpson’s gun had been stolen came not from a manager at the Angelica factory but from Simpson himself. The ubiquitous Porky Collins, told Williams that his brother-in-law, the owner of Fuzzy’s Chicken, had overheard a clearly agitated Simpson talking about his stolen gun. On the basis of this information, Simpson was questioned. Williams also testified that he accompanied several officers to the home of Doyle Simpson’s mother so he could show them a box of unfired cartridges. Williams didn’t see anyone cutting bullet hulls out of a post. Doug Evans was amused by testimony that a police dog had been brought in to search the upper floor of Tardy’s for a possibly hiding perpetrator. (Defense counsel had hinted that the dog handler may have made the blood tracks.) “Was the police dog wearing a pair of Grant Hill Fila’s?” Evans asked to general laughter. Next came Essie Ruth Campbell, Doyle Simpson’s sister. Essie Ruth was working as an aide at the Winona Manor nursing home on the morning of the Tardy murders when she saw Doyle’s car heading west toward McDonald’s between 9:30 and 10:00 am. A few minutes later, she saw him driving east. I have never been impressed with this testimony. For one thing, many of the difficulties attaching to the state’s eye-witness testimony applies equally to Essie Ruth’s report. The car was a considerable distance from the nursing home, she didn’t see the driver, and could easily have witnessed a car similar to Doyle’s Pontiac Phoenix. Nonetheless, Doug Evans’ sarcastic cross-examination showed a distinct lack of class. Essie Ruth is an elderly woman testifying to her own brother’s hurt. She was clearly trying to describe what she saw. Evans’ skeptical sarcasm contrasted markedly with his willingness to accept the most outrageous statements from his own stable of witnesses. Finally, two witnesses testified that the egregious Clemmie Fleming had admitted to them that she had lied about seeing Curtis Flowers running away from the Tardy Furniture store. Via transcript, Stacey Wright testified that Clemmie had reported that someone had come to her house and offered her money, or the forgiveness of her debt to the Tardy Furniture, if she would claim to have seen Curtis Flowers near Tardys on the morning in question. Clemmie told Stacey Wright that she had agreed to testify but that the deal seemed to have fallen through. Clemmie opined that she was going to get on the stand and tell the truth at the first Curtis Flowers trial. But when the moment of truth arrived, Clemmie was harmonizing with the state’s theory of the case. Ms. Blissett also testified that, a few days after the murders, she had been picked up by police officer Liz Van Horne while attending a vocational high school and spirited off to a rendezvous with John Johnson, the DA’s investigator, in nearby Greenwood. “He (Johnson) asked me if I knew what $30,0oo could buy,” Blissett testified. She said that Johnson knew her social security number and was aware that she and her boyfriend had been thinking of buying a mobile home. John Johnson wanted Latarsha to tell him what size of running shoe Curtis Flowers and her boyfriend wore. Since this interview was conducted just a few days after the Tardy murders, this may have been an honest question. More likely, Johnson was asking a garbage question to assess a subject’s willingness to lie in exchange for cash. On cross, Doug Evans savaged the witness. He didn’t deny that the encounter had happened but insisted that Liz Van Horne had informed Latarsha’s mother (something Blissett had denied). Evans wanted to know how John Johnson could have known that Blissett and her boyfriend were interested in purchasing a mobile home. “Do you want this jury to believe that John Johnson has psychic powers?” he asked. After several similar exchanges, an exasperated Dough Evans said he had no further questions of this witness. The friends of Curtis Flowers felt much better at the end of day nine than we had felt at the beginning. Hopefully, the defense team is just getting started. May our wonderful loving God sit with the four victims families during this time. I pray that He shields them with His love from the pain! Amen, winona Mom. I add a prayer that a fifth victim, Curtis Flowers, will not die because of this crime. Mr. Bean I hope you know one day you will have to answer to God for this bull you are writing!!! Man. I wish we knew more and sooner about this Gamble-Presley episode. That is incredibly suspect given the circumstances of the Tardy murder. Execution style looks like an MO of those guys to me. Prayers to all of the families of the victims. The murderer always gets the praise and the justice system forgets about the victims and their families. Curtis Flowers may not die because of this crime, but if he did this crime and knows he did it, he knows what he is facing when he meets god and god says thou shall not kill!!!! I already answer to God, as do we all. 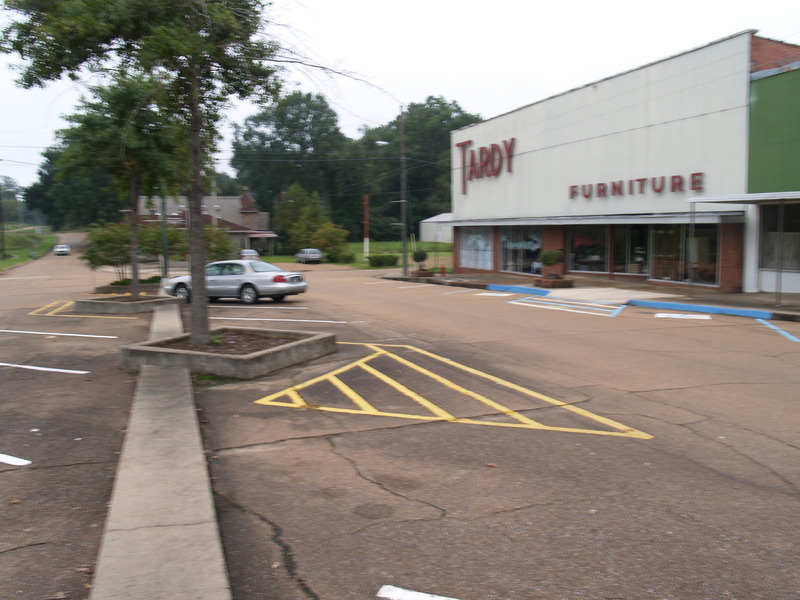 Why didn’t the murders happen before Curtis Flowers got fired from his job at Tardy Furniture? Instead, the murders happened after Curtis Flowers got fired and he took his anger out on four innocent people. He deserved to be fired, if he couldn’t be more dependable!!! He should have took the firing like a man and went on just like other people do with their lives after they get fired. To my understanding he did not get fired, he just did not return to work after the ordeal with the battery happen. If we get our heads out of the ground and wake up to the things that was happening in 1996 referring to Gamble-Presley you would have know that these people was moving from state to state doing this. TIme and chance happen to us all. If we are in the wrong place at the wrong time we can easily get caught up in the things of the world. What is $82.00 dollars worth taking someone life. Here in Winona no one has the guts to perform execution-style murder on four people. Do you honestly think you would have stood there waiting your turn to be killed, I don’t think so. If would have been some screaming, kicking crawling or something. It had to be someone with a partner. I pray that God will give you revelation knowledge on this. I pray for you and the victims families and also for Curtis Flowers because this is frame work. Curtis Flowers said in his statement and asked Mrs. Tardy if he still had a job and she told him no and was letting him go because he had missed too many days of work.. If that’s not what you called fired, then what is it called?? She wasn’t going to let him come back to work for her. I was there at the trial when they read his statement and I do believe that’s what I heard them read that day, if I am mistaken, will someone let me know what was read that day? Mrs. Tardy was nice to him as I recall him saying. It was $289 that was taken that day, not $82. Carmen did try to get away from the murderer, Curtis Flowers. Two people did not do it, only one!!! Those murders had nothing to do with the Tardy murders. Why didn’t the murders happen before Curtis Flowers was fired from his job, why didn’t it happen while he was working for Mrs. Tardy? Yes, someone from Winona could kill execution-style and they know who did it!! !